Pursuit of Poppy: Birthday Fun! This is going to be a week of celebrations! 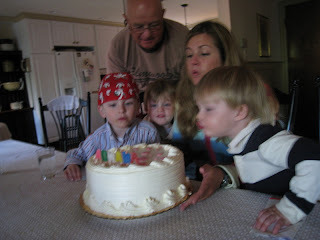 We began by celebrating my MIL's birthday on Saturday with a big turkey dinner at our house. Then on Sunday it was off to my parents for my birthday dinner with my family. 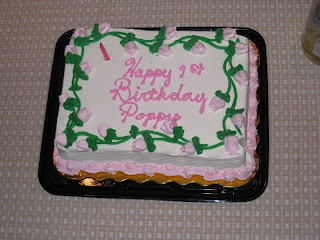 After we blew out the candles on my cake, my SIL surprised me with a little cake to celebrate Poppy's birthday, which is coming up on Wednesday. It looks like you had a wonderful birthday celebration! Happy 4 year wedding anniversary! What a great week of celebrations! HAPPY BIRTHDAY AMANDA! HAPPY BIRTHDAY POPPY! AND HAPPY ANNIVERSARY TO YOU AND MARC! I am glad you are having a great week so far. I hope the fun keeps on coming.